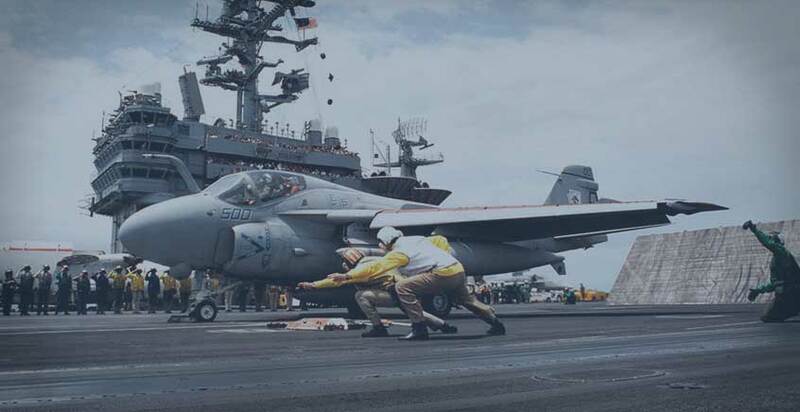 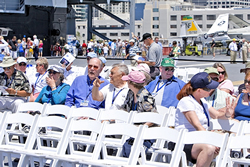 The USS Midway (CV-41) was commissioned a week after the end of World War II and embarked on an unprecedented 47-year odyssey that set new standards in naval aviation. 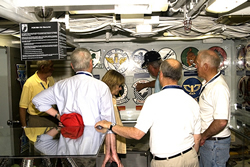 More than 225,000 Americans took part in the odyssey that ended after Midway served as the Persian Gulf flagship in Desert Storm. 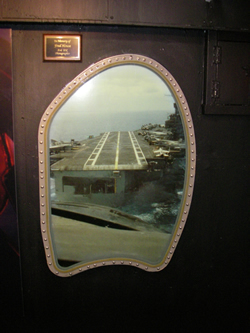 Midway, the longest-serving U.S. Navy carrier of the 20th century and largest ship in the world, 1945-1955, was decommissioned in 1992 and berthed in Bremerton, WA. 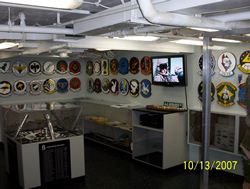 The USS Midway, now the USS Midway Museum (http://www.midway.org/) opened in June 2004 and is moored downtown adjacent to the cruise ship terminals and the San Diego Maritime Museum. 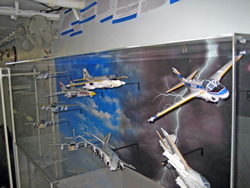 Midway's vision is to become the nation's West Coast symbol of American strength, freedom and peace as a naval aviation museum. 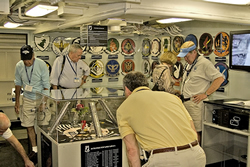 Midway hosts over a million visitors a year and many group functions. 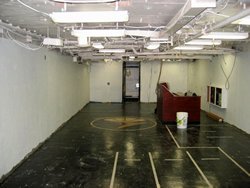 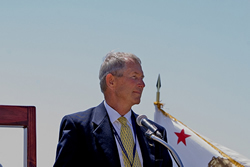 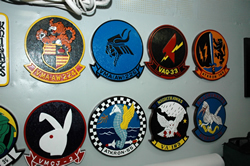 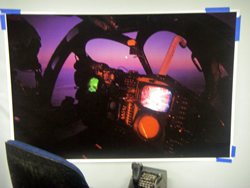 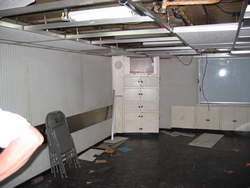 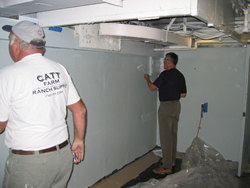 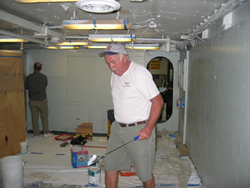 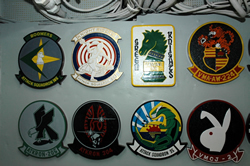 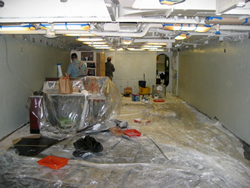 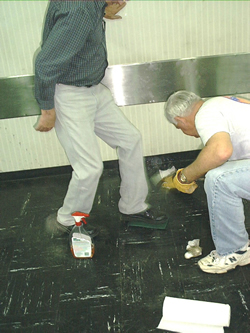 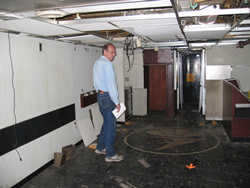 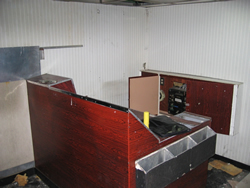 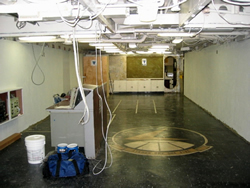 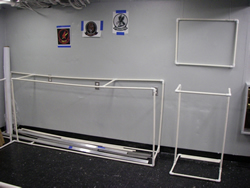 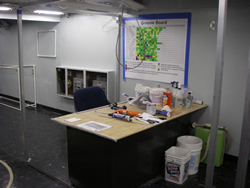 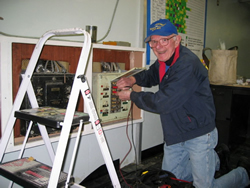 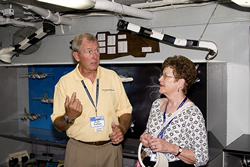 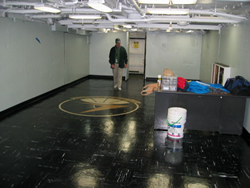 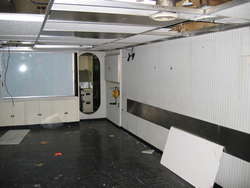 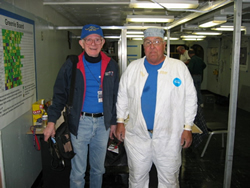 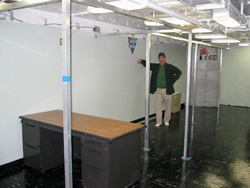 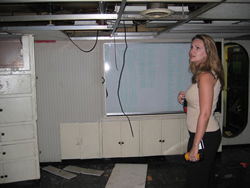 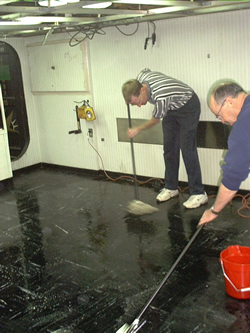 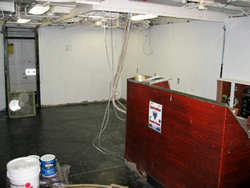 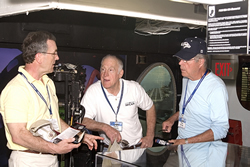 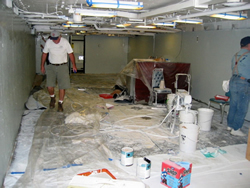 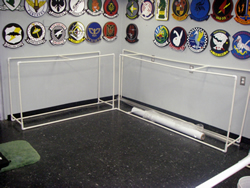 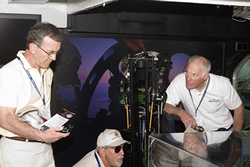 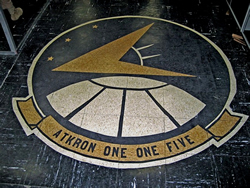 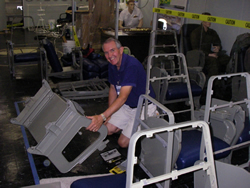 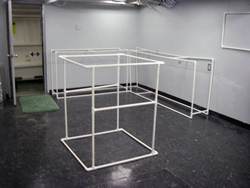 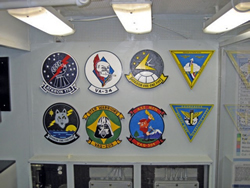 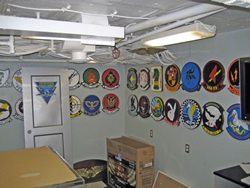 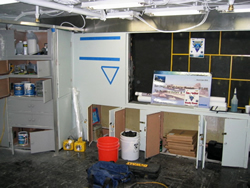 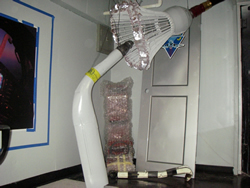 After the USS Midway arrived in San Diego, Pete Young, former VA-115 aircrewman campaigned to secure Midway Ready Room 5, the former VA-115 ready room, for development of the Intruder Ready Room. 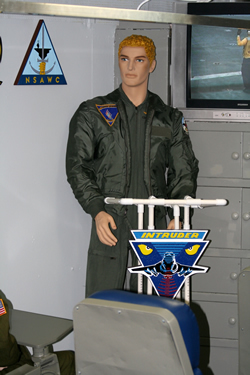 Thanks to Pete, other Intruder alumni, and a generous donation of $10,000 from the Northrop Grumman Corporation, Ready 5 was secured. 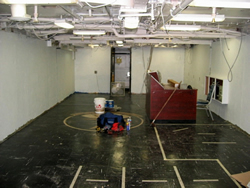 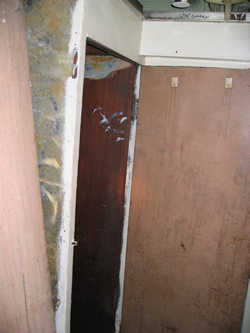 With funding from Intruder alumni, Intruder friends and the Intruder Association (http://www.intruderassociation.org/), a team of some 15 volunteers, not all from the Intruder Community, spent many Saturdays over the next 2 years to rehab ready 5 and to turn it into the Intruder Ready Room with the vision of "Showcasing the Legend". 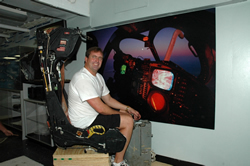 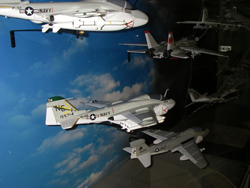 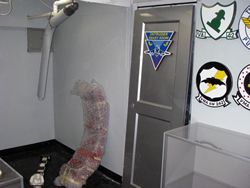 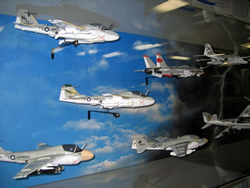 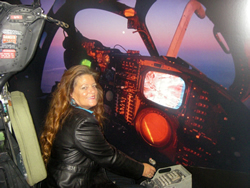 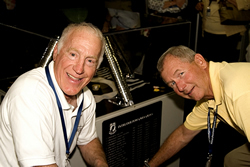 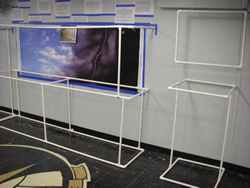 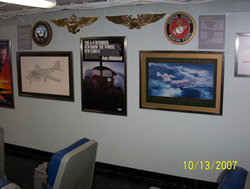 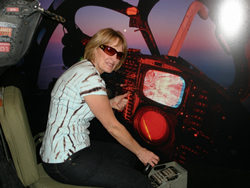 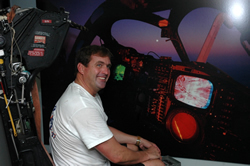 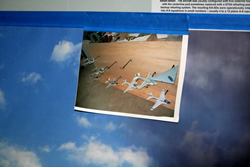 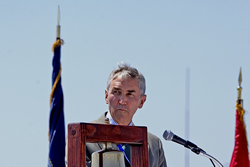 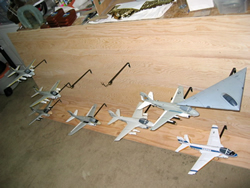 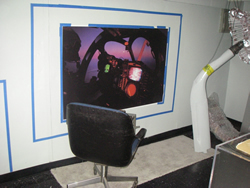 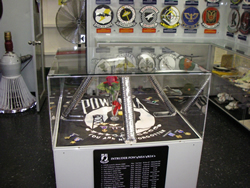 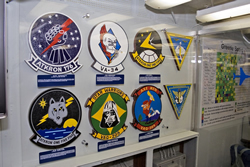 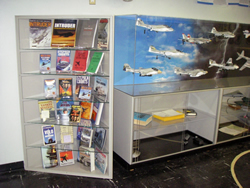 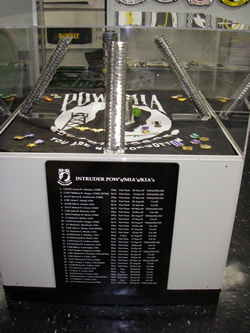 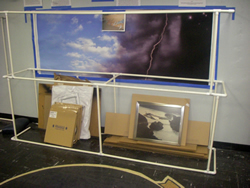 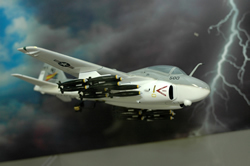 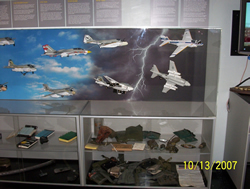 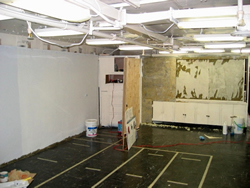 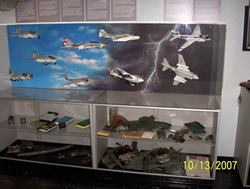 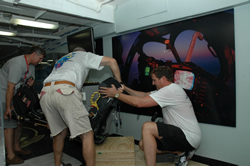 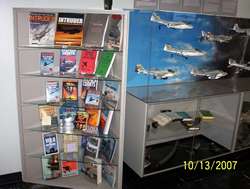 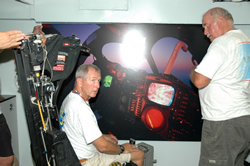 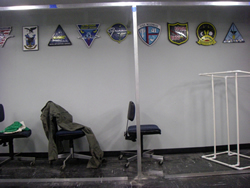 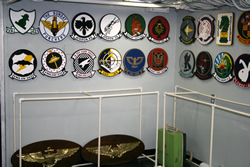 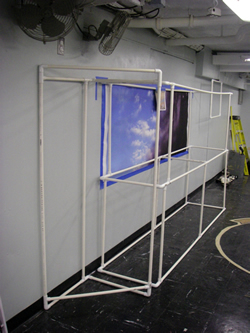 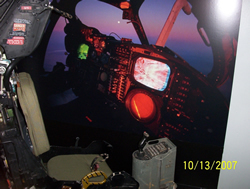 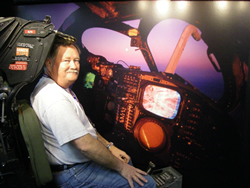 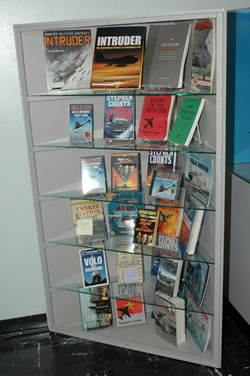 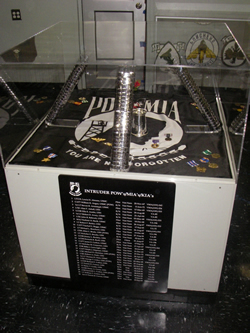 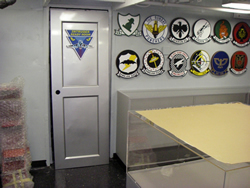 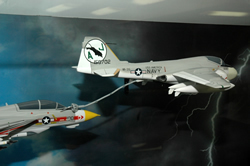 May 3rd, 2008, the Intruder Ready Room was dedicated to "providing a comprehensive exhibit telling the Intruder story and creating a lasting memorial to the members of the Intruder community - the men and women who built, maintain, and flew the Intruder." 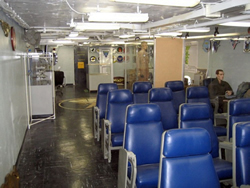 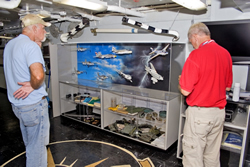 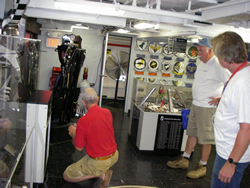 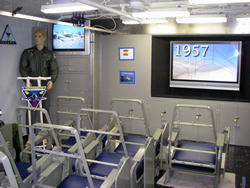 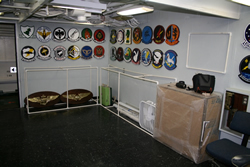 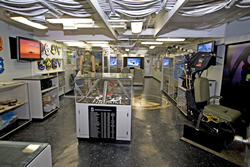 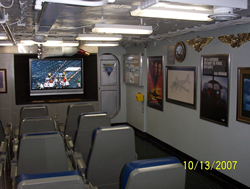 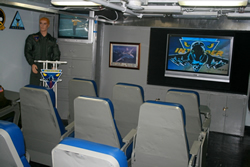 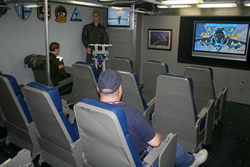 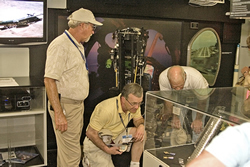 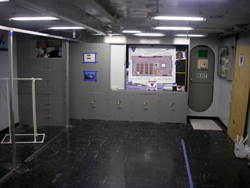 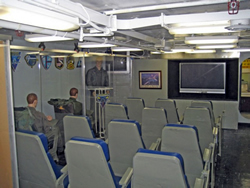 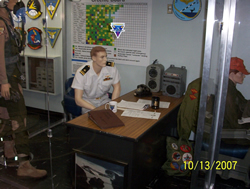 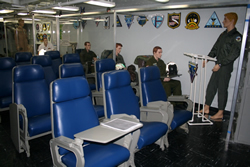 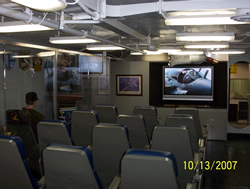 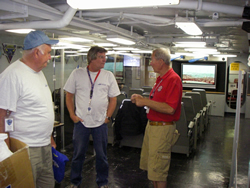 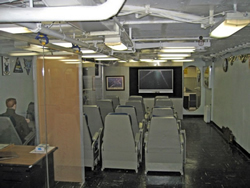 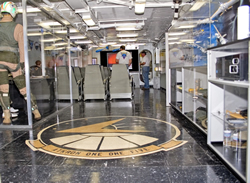 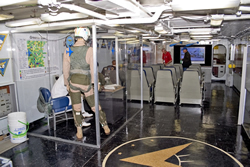 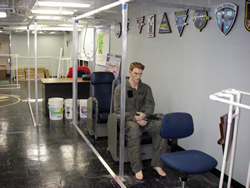 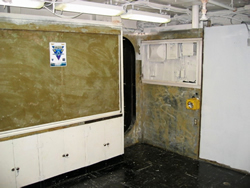 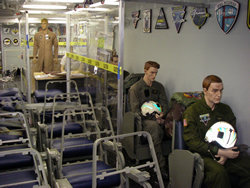 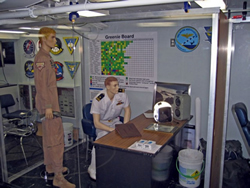 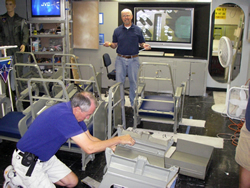 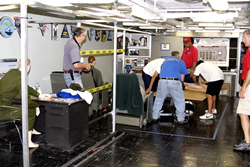 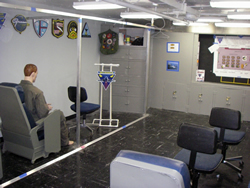 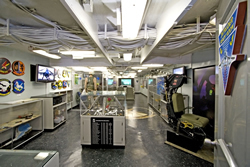 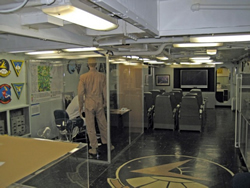 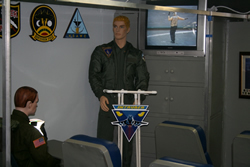 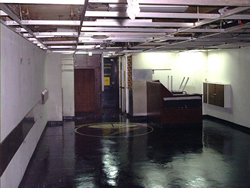 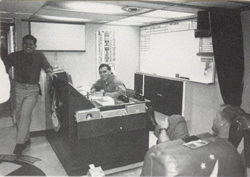 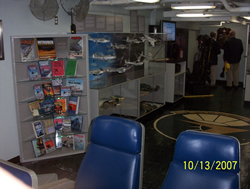 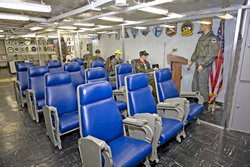 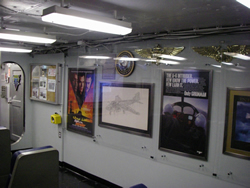 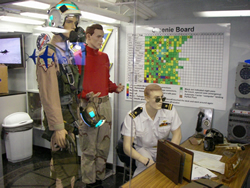 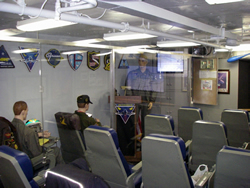 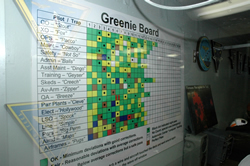 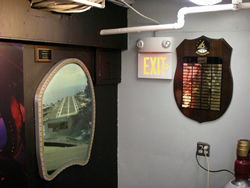 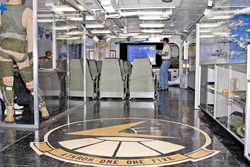 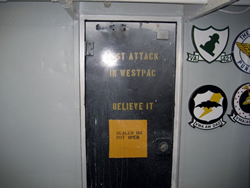 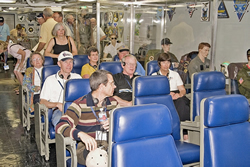 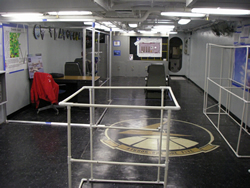 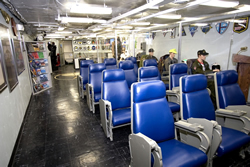 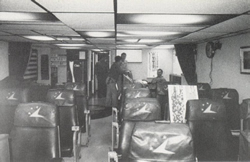 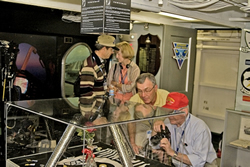 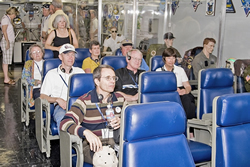 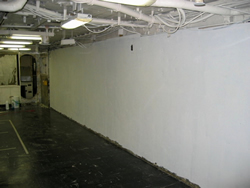 The Intruder Ready Room is a hybrid display depicting a typical aircraft carrier squadron ready room in operation while educating the general public of the history, legacy, participation and contributions of the Intruder. 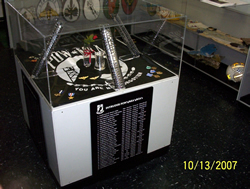 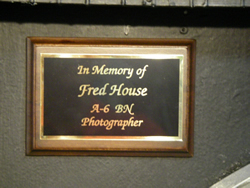 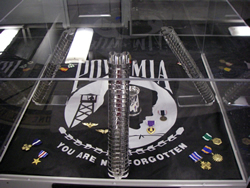 It also provides a "walk down Memory Lane" for all members, families and friends of the Intruder Community and a memorial to the 120 crew members who were POW's or killed or missing in action. 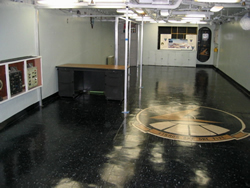 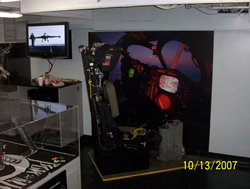 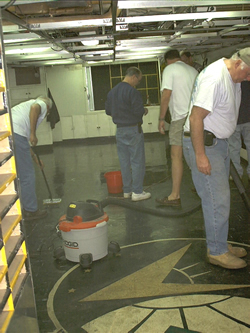 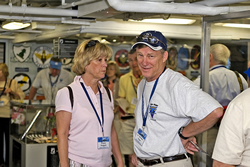 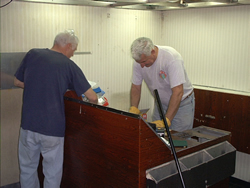 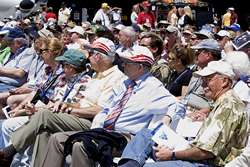 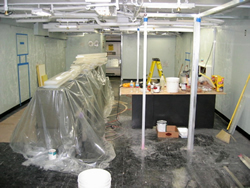 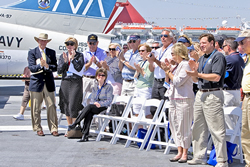 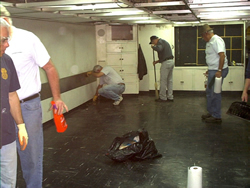 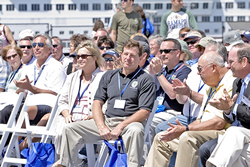 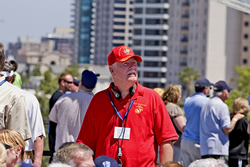 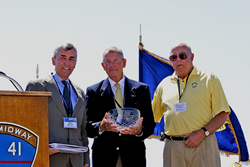 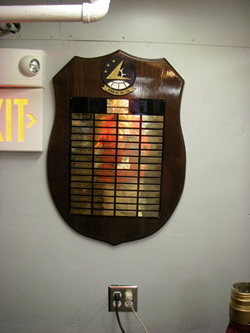 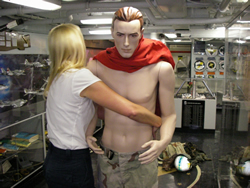 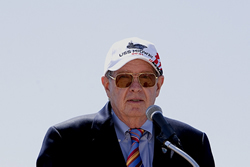 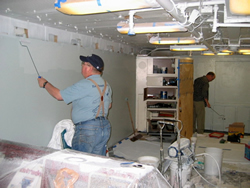 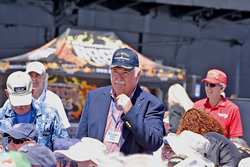 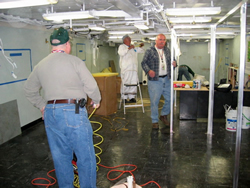 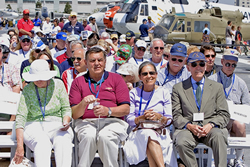 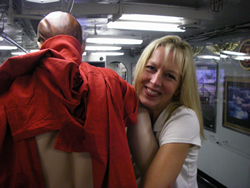 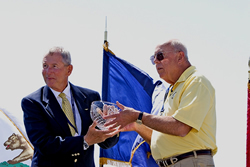 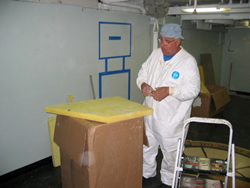 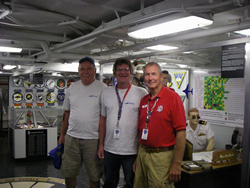 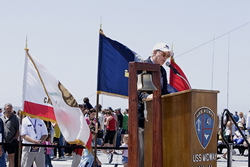 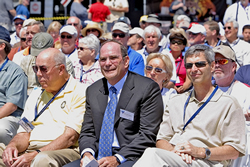 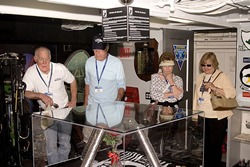 The USS Midway Museum and the Intruder Ready Room are dedicated to preserving and honoring all who served aboard the USS Midway and with the Intruder Community. 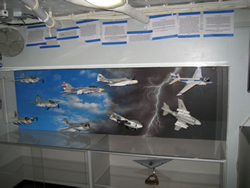 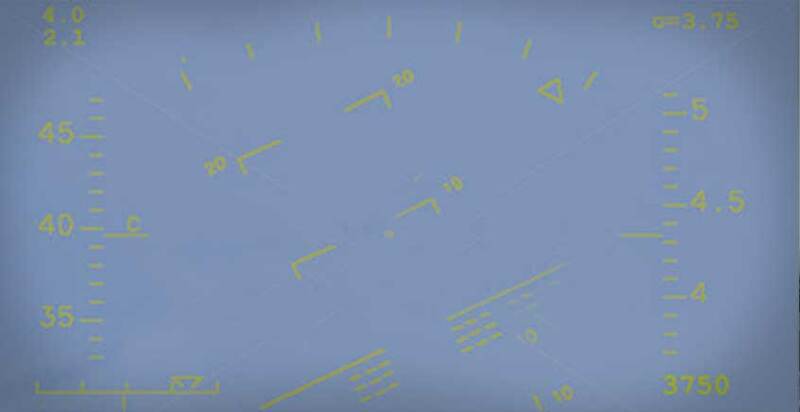 They pioneered new naval aviation standards. 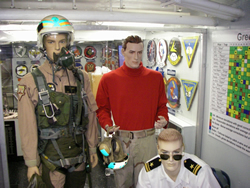 They led successful humanitarian missions. 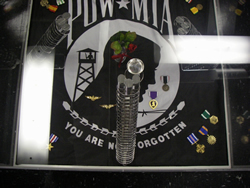 And they protected America. 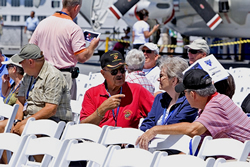 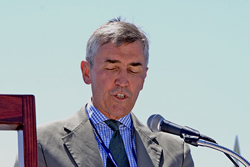 It is vital that their heritage be preserved for future generations. 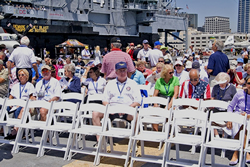 Click one of the links below to go to a specific section of photos, or scroll down the page to enjoy all of them. 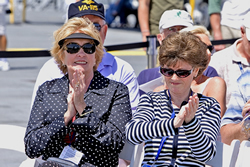 Mrs. Yarham and Tonya Clark, wife of LTjg Alan Clark (KIA) IA Membership Chairman Clyde Cain RADM Riley Mixson - Chairman of Midway Assn.